"to him and his eares for ever"
Thomas possibly lived in the house labelled as 'Jeapes' on the 1684 Chicheley map. The house in the High Street is still standing, and there is an account of it on this website here. To judge by the size of the house where he lived, and the various legacies in the Will, Thomas was quite comfortably off, although he left nothing to his three older sons, who presumably he thought were able to look after themselves. Sheep had been immensely profitable in the centuries before this will, but the trade had become subject to competition from abroad, and demand had fallen to the extent that the government of the day had brought in legislation to require that all bodies should be 'buried in wollen' and that an affidavit to that effect should be given to the parish priest. "No corpse of any person (except those who shall die of the plague) shall be buried in any shift, sheet, or shroud, or anything whatsoever made or mingled with flax, hemp, silk, hair, gold, or silver, or in any stuff, or thing, other than what is made of sheep’s wool only." A statement of this fact is sometimes found in parish registers. You might be amused by some of the spelling in the Will. This page was added by David Miller on 16/02/2015. 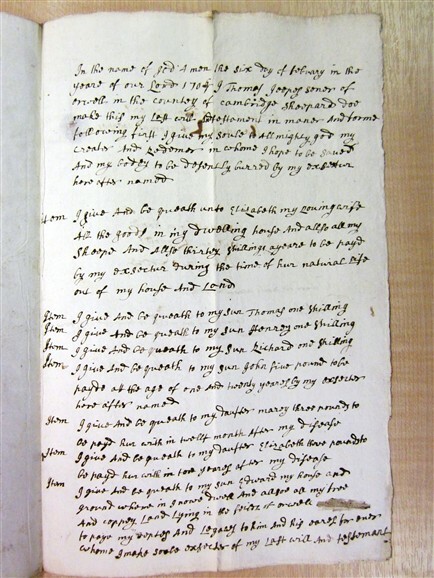 Will of William Griggs 1646. 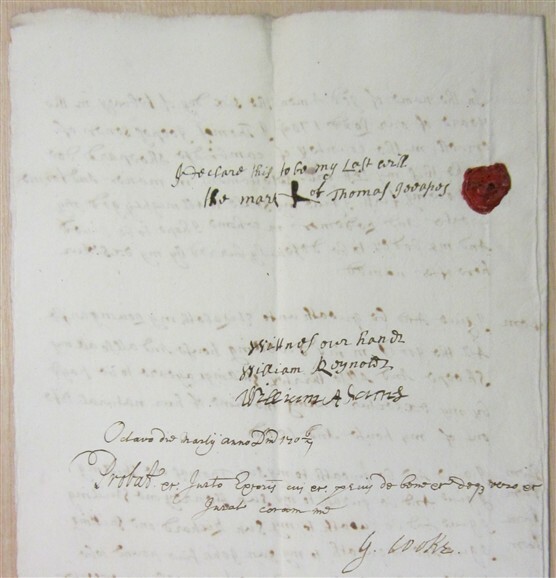 Will of John Merry, butcher 1738.